2019 is looking up for the Bitcoin and cryptocurrency markets, with a new yearly high being put in on Apr 10. 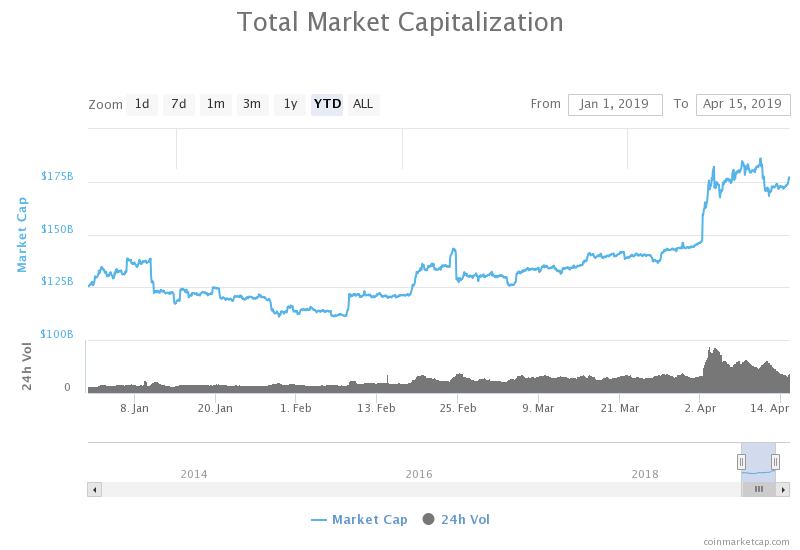 The total cryptocurrency market capitalization has been on an absolute tear in recent months. Various altcoins — such as DASH (DASH), Zcash (ZEC), and others — saw their valuations spike ahead of Bitcoin’s newsworthy jump to $5000 on Apr 2. The total market cap for all cryptocurrencies reached over $186B five days ago. Prices have since cooled off and corrected, but now appear ready to make another leg upwards should buyers take control early this week. In fact, in my view, the most likely scenario is that we now create a new range, or even, hopefully, a sustained stabilization … The market is clearly still excited. 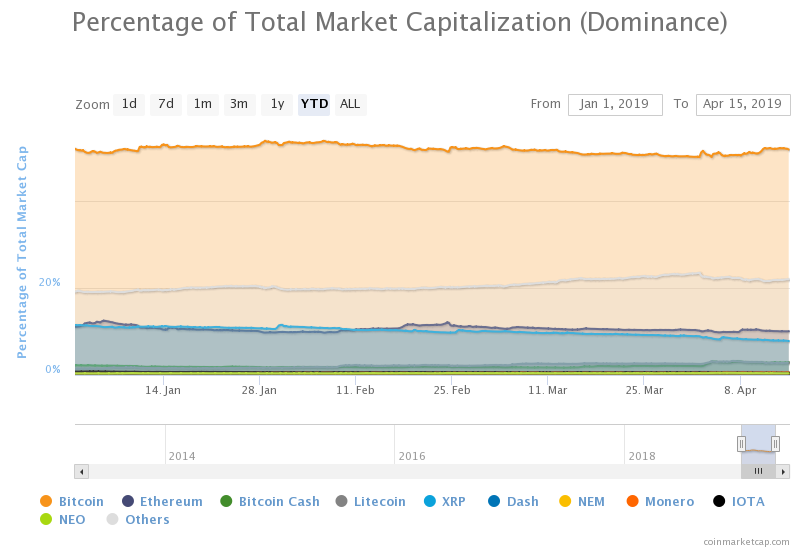 Though Greenspan and others have been apt to label the cryptocurrency market’s price action pre-Apr 2 “altseason,” one should note that Bitcoin (BTC) dominance has remained consistent throughout the year. In fact, Bitcoin dominance only ever dropped below 50 percent once, on Apr 3, when it fell to 49.98 percent. 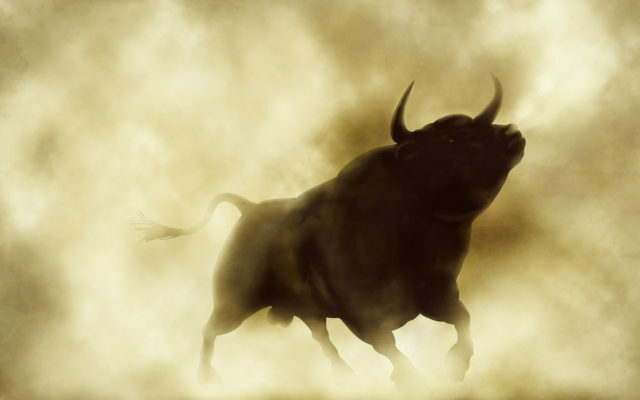 Many analysts have recently come back into the spotlight to share their newly-rekindled bullishness on the cryptocurrency market leader. 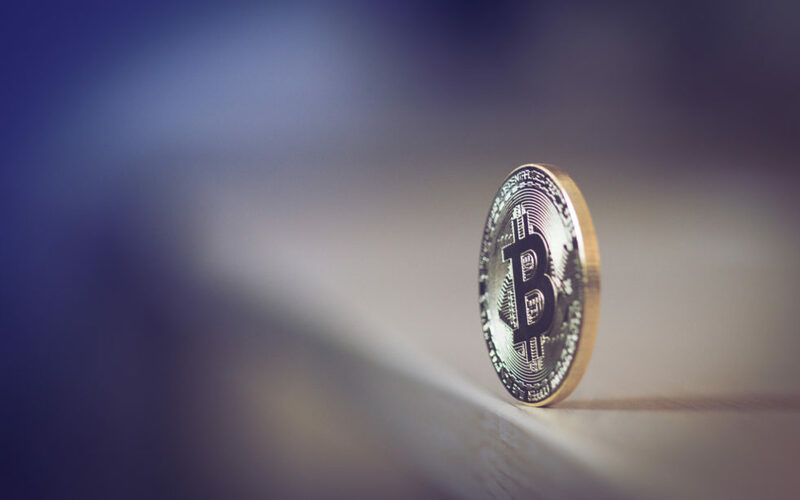 Xapo CEO Wences Casares, for example, believes that it would be “irresponsible” for any investor not to have at least a one percent position in bitcoin — citing the idea that the first and foremost cryptocurrency could be more impactful than the Internet. Noted Bitcoin permabull Tom Lee also claims the sentiment surrounding Bitcoin has turned, while predicting that the cryptocurrency will hit $10,000 by the end of the year. Even Binance Research has put forth data which may indicate that Bitcoin and brethren have bottomed out. What do you think of Bitcoin and the cryptocurrency market in April? Do you think we’ve seen the bottom, or are we in for more pain? Let us know your thoughts in the comments below! Images courtesy of CoinMarketCap, Shutterstock. The post Market Caps for Bitcoin and Altcoins Set to Test New Yearly Highs appeared first on Bitcoinist.com.